It’s the World Cup’s final weekend with teetering Brazil trying to reclaim at least a smidgen of dignity on Saturday in the runner-up match with the Netherlands (3 p.m., ESPN) after being blown apart by Germany on Tuesday in historic fashion. On Sunday, Germany takes on Argentina (3 p.m., 6abc) in what will hopefully be a full-pitch-press of a World Cup final (we deserve as much after enduring those hours of drudging, tactical monotony displayed by both the Argentinians and Holland on Wednesday as each tip-toed toward penalty kicks). Sandwiched in between these two mega matches is your Philadelphia Union who are home against the Colorado Rapids for 6abc Night at PPL Park (7 p.m., 6abc); what better way to warm-up for Sunday’s Southern Hemisphere showdown, right? In the wake of yet another drubbing of the New England Revolution earlier this week, the Union will be working to keep that nice home field vibe going against Colorado. Tuesday’s 2-0 victory against the Revs was the latest in a string of 3 straight U.S. Open Cup wins (the club only needs 2 more W’s to take the tournament and earn its first trophy), and couples nicely with a general improvement in MLS matches in the last month, including an earlier 3-1 thrashing of the Revs up in Massachusetts a couple of weeks ago. Philadelphia is coming-off a tough-to-swallow 2-1 loss in hot, sweaty Dallas last weekend, coughing-up what should’ve been a draw on an own goal that the score card says went in off Union defender Sheanon Williams, but had more to do with a bad clearing attempt by midfielder Fabinho that happened to catch William’s knee. 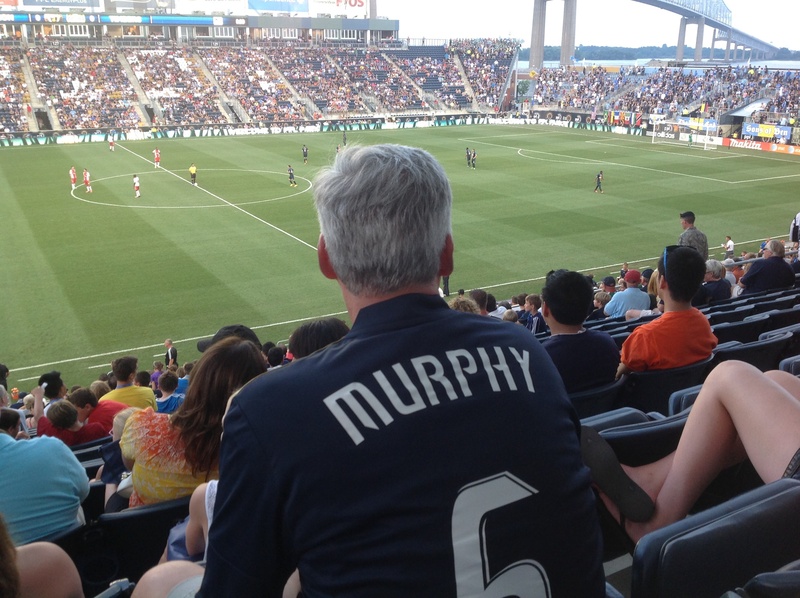 It wasn’t the best-played game on either side, but the Union did well enough to get a point. The club will be gunning for a more positive result at home in what will likely be less humid, more friendly weather. Since getting thumped by the L.A. Galaxy 4-1 in Southern California on May 25th, the Union has gone on a 5-1-1 tear, including its three Open Cup wins. Philadelphia sits in eighth place in the Eastern Conference (4-8-6), but is only 3 points out of 4th as five teams are now jammed-up on either side of the post season cut-off line. Unfortunately, the Union has played more matches than three of the teams it’s chasing which makes set-backs particularly hard to endure. Philadelphia has been getting big offense lately from multiple players. And the recent move from defense to midfield for Amobi Okugo has started to play dividends as Okugo scored a sweet goal in Dallas and appears energized by the new opportunity. Maurice Edu, now on the back line, appears less thrilled, even mentioning some discomfort with being the last line of defense ahead of goaltender Zac MacMath. Edu won’t have to worry about it this week as he sits with a red card violation. It deserves saying, however, that the veteran midfielder has been professional about the situation so far and will probably stay that way as long as the team keeps climbing. Another question mark for the Union is star midfielder Vincent Nogueira who has been nursing a groin strain for several weeks. He’s still listed as questionable. That was the case last week and he did not play. Colorado is in the middle of a promising season. Their 7-5-5 mark is good for third place in the tough MLS Western Conference and the club is has a +5 goal differential with 24 scores in 17 contests. Vincente Sanchez is the big gun. The international star from Uruguay has 6 goals in 6 starts this year. Jamaican forward Deshorn Brown has also been effective with five goals. Other top contributors include midfielders Dillon Powers and Jose Mari (although the way Mari is talking, he may not be fully recovered from a recently sprained ankle by Saturday night). Colorado has no disciplinary issues reported this week by MLS. The Union will have to take care of business against Colorado, but it’s hard not to note next Wednesday’s home tilt against the New York Red Bulls (7 p.m., ESPN2). The Bulls are one of the clubs Philadelphia is chasing and only two points ahead in fifth place going into this weekend. That will be a very big match. It’s 6abc Night at PPL Park on Saturday, which means the game is on 6abc. Other than that, I guess it means I get to walk out onto the pitch and wave for a couple of seconds before the game. Be nice. My wife and kid will be there! Seriously, it’s always a lot of fun. I’m pretty happy that 6abc’s relationship with the Union is still going strong after five years! I’m off next week, so you may see me at Wednesday’s game, too. That will “Guy From 6abc Is In The Stands Night”. The U.S. is done in the World Cup after an unexpected run to the Round of 16 and an extraordinary performance by goalkeeper Tim Howard in the fateful match against Belgium. But never fear. There is still plenty of drama left in Brazil, based on the way things have gone down there so far. Meanwhile, your Philadelphia Union has been quietly piling-up wins and playing its most inspired soccer of Season 5. Two W’s came in the first stages of this year’s U.S. Cup run. Two more came in league play, along with a draw that could’ve been a win. Sebastien Le Toux, Conor Casey and Andrew Wenger have all found the net during this run—multiple times. And the Union have succeeded with the occasional back-up player filling-in for the front line injured. OH, SAY CAN YOU WIN? Now comes an Independence Day show down (really, Independence Night) with FC Dallas (9 p.m. Friday, TCN), yet another club that 6 weeks ago would’ve seemed a near insurmountable opponent for Philadelphia. Not so now, however, after the Union have roared back against Vancouver with 3 second-half goals at home and slammed the once mighty New England Revolution on the road 3-1. Suddenly, all things seem possible. Dallas, a perennial play-off contender in the MLS Western Conference, occupies fourth place going into this match. The club has scored a relatively healthy 28 goals in its first 18 league contests and is enjoying nice seasons from forwards Blas Perez and Fabian Castillo, along with offensive-minded defender Michel (questionable for Friday with a gimpy hamstring), all 3 of whom have 5 goals. The Dallas offense is well rounded, strikes from everywhere and has the Texas club in a competitive position in the tougher Western half of the league. On the other hand, Dallas has also allowed as much as they’ve scored and are sitting only a few points out of miss-the-playoffs-land. The middle of the season was especially brutal. Dallas endured an 8-game stretch that featured no wins and six losses. They’ve had better results lately (1-0-2 in their last three league matches, plus a U.S. Cup win against a non-league opponent from San Antonio), but it’s not like they’re putting people away. Their last tilt was a 0-0 draw in Columbus. The Union, meanwhile, have found their missing offense in recent weeks. Including their 2 U.S. Cup matches, the club is averaging just a hair under 3 goals a game (remember the first couple of months of the season when you wondered whether they’d ever manage more than 1?) and have awoken several of their dormant strikers. Philadelphia has cut its league-play goal differential from -6 to -3 in the last month and has been playing a defense that is dead-even with Dallas (28 goals allowed in 18 matches). In the what-have-you-done-for-me-lately department, the Union has scored 9 goals in its last 3 league clashes. Dallas has 5. There is potential for more good news coming out of this match for the Union, whose recent success has raised its overall record to 4-7-6, placing the club on the perimeter of the play-off conversation for the first time since all those pre-season prognosticators had their say. New York, Columbus, Houston and Philadelphia are all within two points of each other in a log-jam of teams looking to claim 5th place in the East. To keep the ball rolling, however, the Union may need to rely on something less than the A-Team again. Vincent Nogueira is still on the questionable list with the same groin strain that kept him off the pitch in Massachusetts last week. Conor Casey and Aaron Wheeler are also iffy. Sebastien Le Toux, who looked like he was having a good time here at 6abc on Tuesday tweeting with fans during the U.S. World Cup match, is apparently healthy after limping from the field on Saturday. A loss would not be fatal. A road draw would do nicely against a historically strong opponent. But you get the feeling watching these guys going about their business the last few weeks as most eyes were on the World Cup, that another win might just be what they’ve really got planned. The Sons of Ben are at it again, with that whole charity thing. This time, it’s the inaugural “Pints Fur Pets” fundraiser benefiting the Delaware County SPCA and Philly ACCT. It will be a simultaneous event happening Sunday, August 3 at the Field House in center city and CR Shenanigans in Aston. Some of your favorite Union players will be playing guest bartender. Click here for information and tickets. And while I know it stinks that the U.S. is out, Costa Rica is still in. Why not get behind this spirited underdog? I’m partial, having been there recently rooting for the team beside the locals. You wouldn’t believe the level of excitement rolling around down there right now. And when you watch, keep your eyes on Number 10. He’s having a great tournament. It’s been a dynamite World Cup so far with brilliant matches, thrilling upsets, plenty of controversy to chew on, and an unexpected, strong showing by the U.S. National Team. 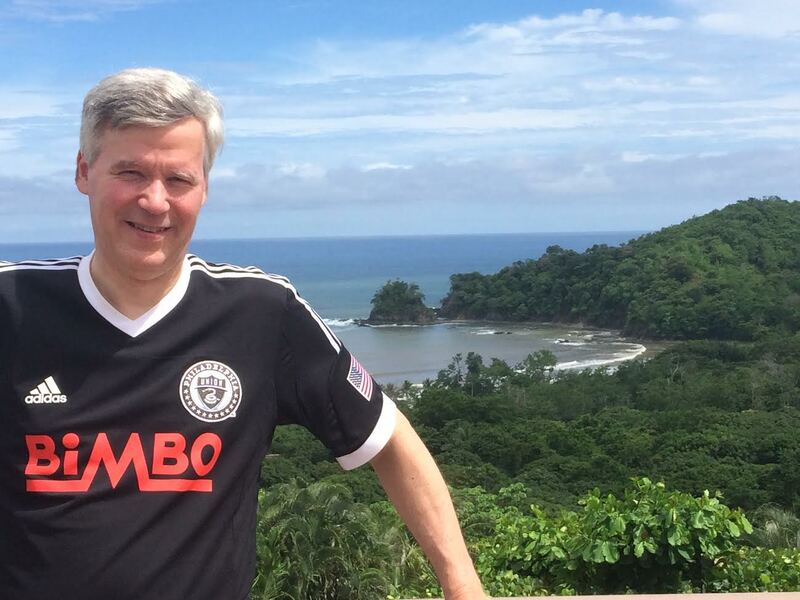 I was in Costa Rica last week as that nation’s team was stunning everyone by pushing it’s way to the knock-out round, which was a very special way to experience this grand tournament, indeed (I’m still pulling for C.R., by the way, along with the United States). But while shopping at the local Maxi Pali (a Costa Rica Wal-Mart-type chain owned by, come to think of it, Wal-Mart), I was reminded of just how much I’ve missed watching the Philadelphia Union. The shelves were loaded with about a dozen versions of Bimbo Bread (man, they love that stuff is Central America) and tonight, the wait is over as the Union return to MLS action against New England (7:30 p.m., CSN). In case you’ve been focused in another direction lately, let’s review. As the World Cup Group Stage was unfolding, Philadelphia fired the coach, fired the assistant coach, named some interim replacements, won its first two Lamar Hunt U.S. Cup matches (putting the club just three wins away from its first trophy) and are coming off a combined 4 matches without a loss. The Cup matches were close, but each featured braces, one from Andrew Wenger, another from Sebastien Le Toux (two players the Union would love to get on track in league play). Prior to that, the Union dispensed with Chivas USA in California 3-0, before staging the season’s best half, a 3-goal explosion against talented Vancouver, erasing a first half, 2 goal deficit. Never mind that the club conceded a draw on a late penalty kick. In all, the Union is averaging nearly 3 goals a game in it’s last four overall matches and in case you’ve forgotten, a couple of those International, off-season imports, Cristian Maidana and Vincent Noguiera, have come into their own and are both producing at a high level. Conor Casey also has a quick four goals in recent league play, a very good sign for the Philadelphia offense which is finally beginning to perculate after spending much of the season’s first half in neutral. There are eighteen games left in the MLS season, plenty of time for Philadelphia to start earning points and salvaging their season. The Union is 3-7-6, settled in 8th place in the Eastern Conference, 5 points out of the fifth and final play-off position. To climb, they’ll need more strong games against good competition (similar to the performance against Vancouver). They get a chance to shine against quality tonight with a road match against New England, one of the better teams in the east so far this year. The Revolution currently holds third place in the East with a 7-5-2 record. The Union, despite their recent U.S. Cup matches, should be fairly well rested and energized from their recent spate of good play. Thanks to Maurice Edu’s failure to make the U.S. National squad, are essentially at full-strength, although Casey, Nogueira and Aaron Wheeler are all listed as questionable for tonight due to a series of strains and pulls. New England has minimal issues on the health front and should be usually tough. But the Union have been on a roll lately. It should be an interesting match-up and a nice supplement to today’s World Cup viewing. In case you didn’t stay up late last weekend, I can tell you that the Philadelphia Union played an entertaining game against one of the league’s more lackluster squads, Chivas USA, in Carson, California. For the umpteenth time this season, midfielder Cristian Maidana showed his worth, feeding Conor Casey on a beautiful centering pass for one goal and then right-footing a score of his own on a break late in the second half. Never mind that the referee probably should’ve called Andrew Wenger for being off-sides on the play, or for interfering with the goalie, or both. The soccer gods haven’t exactly been pouring favor on the Union over the first half of this MLS season and the club will gladly down sugar whenever an official leaves it on the countertop. It would be nice to think that playing with a lead appealed to Philadelphia last week and will now serve as an extra incentive to repeat the trick at home on Saturday night (7:00 p.m., TCN), but the Vancouver Whitecaps are in town and in all likelihood will not so easily bend. The Caps are a lusty 5-2-5 and are in fourth place in the MLS Western Conference mainly because they have two games at hand on the other three clubs they’re chasing. Winning those two make-up games would seat them second behind Seattle which is playing out-of-body soccer this year. Vancouver’s winning formula? They’ve buried 22 goals this season—that’s almost 2 per game and good for fourth best in the league. The three clubs ahead of them in scoring have—you guessed it—-played two more games than Vancouver. Factor in those two missing games and, again, the Whitecaps would probably be second behind Seattle. 28-year-old Midfielder Pedro Morales, who came over from Spain’s La Liga side Málaga CF in the off-season, leads the club in nearly every offensive category including goals (5), shots (38), shots on goal (16) and assists (5). Morales fits the exact mold of the sort of talent the Union lack and may go trolling for this winter. But the pressure doesn’t stop there. Mark the names of Erik Hurtado, Kenny Miller and Kekuta Manneh on your score cards Saturday night, because each of these guys have three goals. That’s four offensive weapons who’ve scored more times this season than anyone on the Union whose name doesn’t rhyme with Le Toux and Edu. Well, okay, Cruz kind of rhymes with Le Toux, but Danny’s early season injuries have limited him to parts of 9 games with only a goal and assist. Some feel Vancouver has been playing above their skill level and that it’s only a matter of time before they fall back to earth. The odds would appear to be against that happening against the Union whose 3-7-5 record isn’t scaring anyone, especially considering the way they’ve been getting buried lately by any team without the world Chivas on the jersey. But there is hope. Vancouver is only in the middle of the pack defensively, having given up 17 goals. And the Union have plenty of depth which may help overcome the questionable availability of the four players currently residing on the weekly league injury report: Le Toux (lower back strain), Cruz (groin), midfielder Brian Carroll (hamstring) and defender Austin Berry (left ankle sprain). And some of the Union’s healthy parts are working well these days. Aside from Maidana, midfielder Vincent Noguiera continues to be effective. And Conor Casey finally got on the board a couple of times last week, offering at least some hope than somebody up front is finally ready to start charging the net. Perhaps John Hackworth’s strategic move to grant Casey the driver’s position on last week’s penalty kick flicked the on switch. Casey easily scored the gift goal, but was operating on all cylinders later when he pushed forward to head-in the Maidana feed, something very few Union players other than perhaps Cruz has demonstrated much lately. Vancouver, by the way, has three players out with knee issues, two of them defenders, which could explain why the club has been only so-so in the back third. A forward, Darren Mattocks, is questionable with a left hamstring. Mattocks has been effective this year with 2 goals and 3 assists in 10 games. If he can’t make in onto the pitch on Saturday, perhaps this helps Philadelphia’s cause. This is your last chance to get a regular-season fix for a while as Philadelphia’s MLS schedule shuts-down for three weeks to give fans a chance to take-in the first rounds of the World Cup in Brazil. 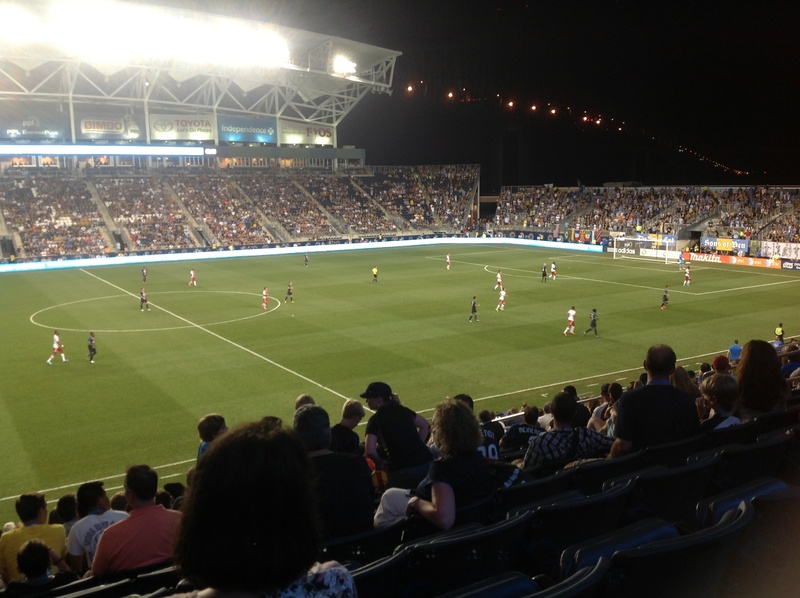 Costa Rica and Ireland have a tune-up at PPL Park on Friday night (June 6). The Union is also gunning for the Lamar Hunt U.S. Open Cup again this season with a tilt against the Harrisburg City Islanders at home on June 17. This is actually a fourth round affair, but typically, MLS clubs aren’t invited to the dance until the early rounds sort out smaller, lesser-known franchises and private clubs. Regardless of how the regular season works-out, the Hunt Cup is worth rooting for. It would be Philadelphia’s first prize in the trophy case and a fair source of pride. What’s more, the Union players would split a nice bonus of a couple-hundred grand if they won it all which, in soccer, means a lot. In case you aren’t aware, not everybody in the MLS makes Mo Edu money. For whatever reason, several recent Open Cup victors have been clubs who were not having a great season otherwise. By that measure, the Union ought to be marked down as a favorite this year, assuming things don’t turn around in the regular season’s second half. 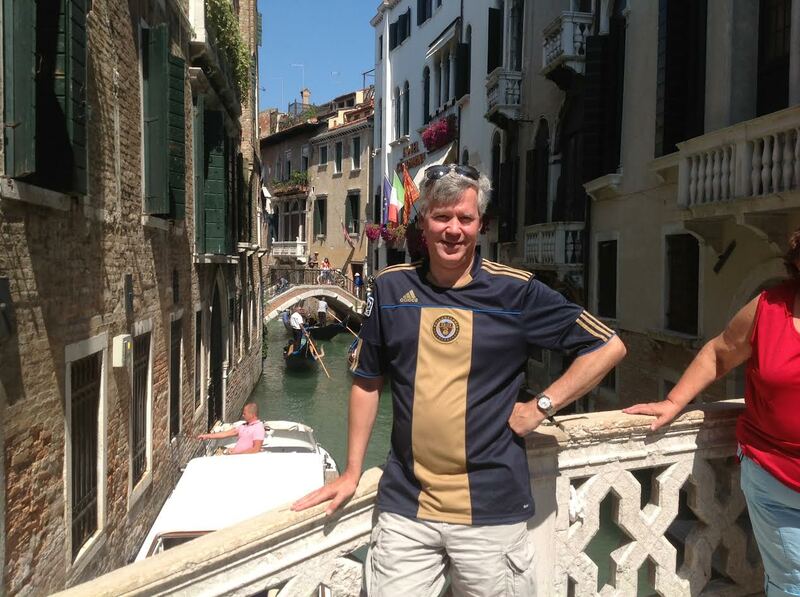 It’s been a week of extremes for the Philadelphia Union. Within 3 days, the MLS club conquered the season’s highest mountain with a 2-1 road victory over defending champion Kansas City on May 14th, only to come crashing back to earth the following Saturday with a horrific 5-3 shellacking at the hands of surging New England, a match that was nowhere near as competitive as the final score suggests. Now, it’s off to the land of movie stars, valley girls and dream-makers for a pair of matches against the best and worst California’s corner of the MLS has to offer. The odds are pretty much even on whether this trip will dreamy or nightmarish for Philadelphia. As has often been the case this season, the upcoming matches hold promise, at least on paper. The Stub Hub Center, home base for both the L.A. Galaxy and Chivas USA, has also played host to a whole lot of disappointment this season—and not just the predictable kind. Chivas USA, a club in so much organizational disarray, Major League Soccer assumed control of its operations prior the season, has taken-up its customary position near the bottom of the heap in the league’s Western Conference. But here’s a fun tavern trivia question. Which of the following MLS clubs has the best record heading into play this weekend: the L.A. Galaxy or Chivas USA? I’m betting very few of you would’ve won the Coors Light t-shirt last Saturday night on this one. The surprising answer is Chivas, if only by a hair. Their 2-5-4 record not only bests L.A. by a point, it puts them only one behind your Union—which is either a testament to the success the MLS is having as they try to turn the franchise around, or sad evidence of the state of things in Philadelphia. All three clubs involved in these two upcoming matches have to be thinking there’s a chance for good things to happen. In most years, most supporters facing a two-game road trip through Los Angeles would probably rather see Chivas first, since this historically lackluster club usually represents the best chance for 3-points. That’s not necessarily true this time around and as luck would have it, Philly draws the L.A. Galaxy first. The rare Sunday match (8 p.m., CSN and Univision) is the sandwich event in what the host club is calling its Family Reunion. Fans can actually show-up two hours early for an alumni game and stay late for a match involving LA’s II squad. Maybe the extra exposure to the afternoon heat will take some of the energy out of them. According to the Union plan, the Galaxy’s play can then steal the rest. L.A. currently occupies last place in the West, a heck of an accomplishment, even for a franchise that’s been gradually losing some of its shine since David Beckham’s departure a couple of years back. To be fair, the Galaxy’s record isn’t terrible (2-2-3). 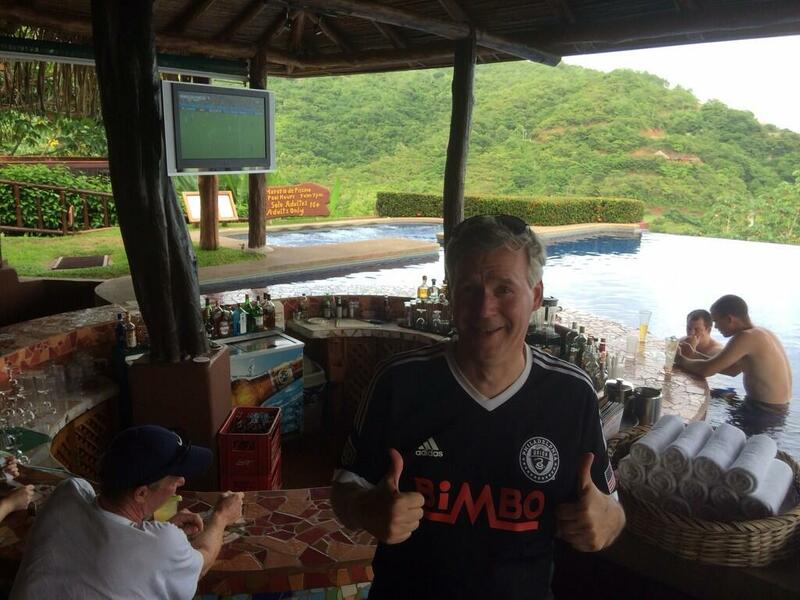 They’ve got 3 games at hand on the Union and Chivas and they’ve actually out-scored opponents so far 8-to-7. But this is not the same team that used to roll over opponents week after week on their way to a seemingly preordained position near the top of the Western Conference ladder. They’re winless in their last 4 tries and have been shut-out twice. They’ve had trouble in recent weeks with clubs like Portland and Seattle, teams with similar records as Philadelphia, and they have not seemed nearly as dominant on offense. The Galaxy has only score more than one goal in a game once since mid-April (a 2-2 draw with Vancouver). The Galaxy lost probably their most well-known player in Landon Donovan to the USMNT call-ups recently and the knee-jerk response among Union fans on that news is probably overwhelmingly positive. But at 32, Donovan is not the player he once was, openly admits that he’s far from a lock to represent the U.S. in Brazil this summer and has ceded his position among his club’s stat leaders. Robbie Keane leads L.A. with a hefty 5 goals in just 8 games played. The bigger chip for Union supporters is that the rest of the Galaxy’s line-up has also pretty much allowed Keane to be the guy. In a rare twist, the Galaxy’s assist leader is not a forward or even a midfielder. It’s defender Dan Garden who has 3. If there’s a way to beat L.A. this time around, it’s keeping the ball away from Keane and pushing the ball forward. The question for the Union is who exactly handles that push? Midfielder Maurice Edu is back from the national team’s camp and should be available, but their primary playmaker of late, Cristian Maidana, is out with a regrettable red-card picked-up late in last week’s debacle against New England on an ill-advised rough tackle after the outcome was all but decided. The Union still has plenty of weapons. Hopefully, the likes of Vincent Noguiera, Danny Cruz, Amobi Okugo, Leo Fernandez and Sabastien Le Toux can step things up. A win against L.A. would set things up nicely for the following Saturday when Philadelphia takes to the same pitch against Chivas USA. The Union has announced a July 25th Friday night friendly against Crystal Palace of the Barclay’s English Premiere League. Crystal Palace finished in 11th place in this year’s EPL standings with 45 points, well behind Champion Manchester City. Still, this is a nice, tune-up match for Philadelphia against a relatively talented English side. Of course, this will be a pre-season tilt for the Eagles, so the starters may not play the entire match. The Union game is the middle contest of the 3-city tour for Crystal Palace which begins in Columbus against the Crew and ends in Richmond, Virginia, against the USL’s Kickers. I was saying to someone in the office the other day that if there’s one offensive player the Philadelphia Union should be cementing into the starting line-up every week, it’s midfielder Cristian Maidana. At 27, Maidana is not exactly the club’s most seasoned veteran, but nearly every time the young Argentinian is given a chance, he manages tantalizing flashes of the sort of soccer acumen and creativity his teammates have often lacked this season. On Wednesday night in Kansas City, one of MLS’s most cruel venues for underdogs, Maidana took-over. He set-up one goal on a beautiful cross off the run, scored another only seconds after Philadelphia had given-up the equalizer and in the process, pulled his mates back from the abyss that has threatened to swallow them whole for the last month-and-a-half. This was the kind of performance nearly every off-season pundit expected to see from Philadelphia all year long, in the wake of the club’s international signing gluttony in the off-season, not to mention the Austin Berry trade and what amounted to a killing spree at this year’s MLS Super Draft. Multiple clubs made splashy moves since Sporting KC hoisted the MLS Cup last winter, but it was the Union who made the best combination of additions, most opined, because they injected so much talent into the team’s main glaring wound. The new midfield, it was thought, would happily marry a veteran core of strikers and all would be happiness and excitement in Doopdom. Until this week, the Union were looking like another one of those this-is-why-they-play-the-games stories that litter the vast annals of sport. But the effort the club displayed on Wednesday opens the door wide for dreamers and also has the makings of something else sports writers love to cover: the comeback story. At the center of this drama is maligned head coach John Hackworth, a very nice guy who nearly everyone covering Major League Soccer had on their Most Likely To Be Fired List before the team had finished its first full-squad practice, assuming that the club didn’t rocket out of the gate in March. This past weekend, I read two additional Nostradamus-esque doom and gloom pieces speculating that the axe was already raised over Hack’s neck and that all we were basically waiting for was a loss in KC and a gentle breeze to get the thing falling. The players are well aware of the situation. They like their coach and those who were here during former Union manager Peter Nowak’s slash-and burn reign are especially aware of how good they’ve got it playing under a manager who respects and supports them. Brother, did they show it on Wednesday, as the entire team raced over to the sideline to embrace their embattled leader immediately after Danny Cruz knifed Maidana’s pass into the back of the KC net. Was this show of solidarity the beginning of that great rags-to-riches story everybody wants to write? Or was it only a chapter with some bitter title like “The Last Hurrah” or “Hackworth’s Last Stand”? The road to answer picks-up quickly on Saturday night. Union: This Year’s New England? It’s fitting that New England sits as the next victim/executioner in the Union’s path. New England had a first half last season a lot like Philadelphia is having this year. They were terrible. As late as the All-Star break, there were a lot of MLS fans who had written them off, only to be shocked when the Revs rode past their clubs in the final stretch like Sea Biscuit versus War Admiral. This season, New England—which interestingly, was not an especially big player in the off-season signing frenzy—has remained steady, logging a nice 5-3-2 record which has them tied with Sporting KC for first in the MLS Eastern Conference. They’ve outscored their opponents 14-10 along the way. The guy leading the way in the goals department is a familiar face, midfielder Lee Nguyen, the Texan who’s now in his third year with the Revs. Other faces to watch include forward Teal Bunbury, a former Kansas City contributor who leads the club with 11 shots on goal, fourth year midfielder Diego Fagundez, who holds the distinction as being the Rev’s first-ever homegrown player after originally signing out of Uruguay as a fifteen-year-old, and rookie Patrick Mullins who came out of college ball this season and has a couple of goals. Big Bobby Shuttleworth starts in net. New England is coming-off one of the more impressive performances seen anywhere in the league this season, a 5-0 drubbing of Seattle on the road. Three weeks ago, they pulled-off that Union thing by beating Kansas City on the road. New England is riding a 3-game winning streak. They haven’t lost since April 5th. This will be no easy pickings for Philadelphia. But the Union will be at home, their supporters should be pumped after the win in the Midwest and the Union players should still be thinking hard about what they owe their trusting manager. They struck a big blow in his favor on Wednesday. They have to strike a few more before they can be sure of moving forward with the same make-up and chemistry they have now. The Union travels to sunny California next week to play a pair of quick games against the best and worst the Golden State has to offer: the L.A. Galaxy and Chivas USA. They’re home again on June 7th against Vancouver at 7:00pm. It’s the tale of two teams on very different paths. When DC United takes the pitch at PPL Park against the Philadelphia Union on Saturday (4 p.m., TCN), the home side will be facing a club that’s spent the last couple of months doing exactly what the Union has not: turning themselves around. Three weeks into the season, the re-vamped DC squad looked terrible. They were shut-out twice and when they finally scored 2 goals in Week 3, all it got them was a draw against pitiful Chicago. It was as if the ghost of 2013 had been let out of the basement, gripping the nerves of United Nation. Was the club, supporters wondered, no better than last year’s horrendous 3-win version? Since then, DC’s new parts have started to mesh with the left-overs and the club has begun to act like a contender. United went a month without a loss, compiling a quick 10-points before last week’s tough 3-2 setback in Portland and are now sitting in 6th place in the MLS Eastern Conference, a thin point behind the Columbus Crew. Their finest hour came just two weeks ago at RFK Stadium when they systematically dismantled talented FC Dallas 4-1 (the same Dallas club that currently owns the third best point total in the league). DC United is 3-3-2 with all chins up and spirits high. Chief among DC’s new contributors is 29-year-old Argentinian forward Fabian Espindola, a cast-off a couple of years back from mighty Real Salt Lake, who anybody could have signed in the off-season. DC is exceedingly glad they grabbed him. The rugged, bull-headed striker who has averaged more than 9 goals in his last three MLS campaigns is on a pace to net about 16 this year. He leads DC with 4 goals and 3 assists, plays with swagger and grit, and is probably benefitting from not being part of last year’s Nightmare on the Beltway. He’s been a nice piece on a lot of good teams across his career and believes any team he’s on is going to win, in no small part because he’s in the mix. Note to Union fans: This combination of talent and freight-train pushiness usually makes Espindola opposing fan’s favorite guy to boo. That’s Espindola. Number 9 on your score card. The Union probably won’t have to worry about a couple of DC’s traditional scoring threats on Saturday, thanks to hamstring injuries. Chris Pontius (19 goals last season) has been on the shelf all year and USA National Teamer Eddie Johnson is listed as questionable for Saturday. But Johnson hasn’t been contributing this season anyway and with so much else going right for DC, Philadelphia can hardly feel there’s an advantage with these guys off the field. They’ll have enough on their hands trying to contain midfielders Davy Arnaud (2 goals) and Nick DeLeon (3 assists), not to mention veteran defender Jeff Parke, acquired from Philadelphia in the off-season for defender Ethan White who, incidentally, hasn’t played a minute for the Union this year. Philadelphia’s 2014 story began similarly with a series of disappointing early season results. The difference, of course, is that the Union has failed to figure-out the DC Turn-Around formula, despite an arguably better series of off-season acquisitions. In fact, if anything, the Union has gotten worse lately. Nearly a third of the way into the club’s fifth and most anticipated season, only the re-worked midfield of Maurice Edu, Vincent Noguiera and Christian Maidana has dazzled. The defense has been prone to big-moment breakdowns and the offense has yet to establish anyone as a true goal threat. Were it not for the occasionally brilliant work of goaltender Zac MacMath, who is currently one away from the record of 4 straight penalty kick saves, the Union (1-4-5, 8th in the East) would be in an even deeper hole. The fact that MacMath has been called on so often to play the hero tells you something about the disarray and frustration that has infected this roster. On the coaching side of things, Manager John Hackworth looks like a guy on the deck of a stricken ship with a dead radio, tossing whatever floats into the water and firing blind flares into the night, hoping somebody—anybody—will step forward to save the day. Consequently, there are few on the roster who can legitimately claim that they haven’t gotten a chance to help-out. On the other hand, there are many who probably wish they were playing more. Every week, it seems, the line-up changes, with everyone from veterans Conor Casey and Sebastien Le Toux to youngster Leo Fernandez and the plucky Fabinho seeing intermittent spurts of high-use followed by stretches on the bench. Injuries have played a part in the shuffling, but a lot of the change-ups seem more the result of the staff’s waning patience. We’ve even spent a good portion of this season watching a towering career forward, Aaron Wheeler, spending week after week trying his hand at defense. Strange doings, indeed. It’s hard to tell whether this rolling-roster approach is helping or hurting. But you can bet management is watching with itchy fingers. They’ve already pulled the trigger on one huge personnel move, shipping the popular and formerly dangerous striker Jack McInerney to Quebec. One has to wonder whether the next move the team makes will be on the sidelines. That’s assuming the players don’t grab onto some of Hackworth’s lifesavers soon and start responding to those emergency flares. By the way, McInerney is doing no better than Andrew Wenger, the guy the Union received in the trade with Montreal. Both players have only 1 goal and no assists since the deal, although Wenger has gotten more chances to play. I’m giving a big shout-out to the Sons of Ben, one of the region’s most dedicated and active fund-raising organizations. Not only do they continue to produce revenue for various charitable organizations ($10,000 to the St. Baldrick’s Foundation, most recently), the Union’s supporter’s group has just been nominated for the prestigious John Wanamaker Athletic Award, which honors players or organizations that reflect favorably on the community. They’ll be up against the likes of Cliff Lee and Claude Giroux, among others. Other than that, it’s the usual for SoB. On Saturday, they’ll be raising funds at their tailgate for the family of recently deceased super supporter Eric Shertz. On Sunday, they’re marching and supporting additional marching groups in Chester’s Mother’s Day Parade. Oh yeah, and sales of the newly minted Sons of Ben Rowdy Style Ale (limited addition from Yards) is supporting the William Trippley Foundation in Chester. You can sample the brew at Yards, Fado, Iron Abbey, Stoney’s Pub and Kildares in Manyunk, among other spots. The good deeds just never stop with these people.